The 2019 Magic Millions Sale has seen further strong results for current Champion Victorian Sire Written Tycoon. His yearlings at the annual sale averaged just over $280,000 and amassed nearly $12 million. With lifetime runners to winners at 73%, he has amassed progeny earnings in excess of $49,000,000 with 24 stakes winners and 20 stakes placings. He had the third place getter in Saturday's Magic Millions in Hightail and continues to produce quality gallopers. But why buy a yearling and wait seven plus months to get to the track? 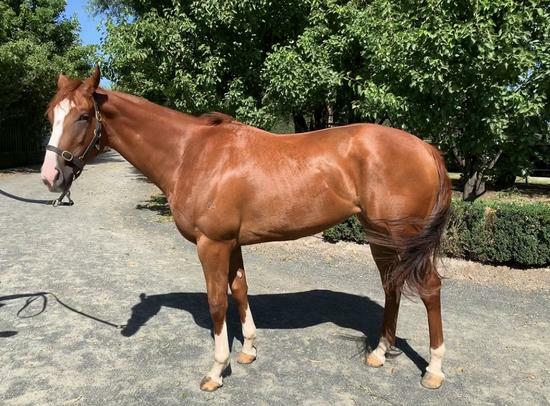 Eden Racing currently has an impressive two-year-old daughter of Written Tycoon who is ready to go. She has been broken in, is currently in her third preparation in the stable and is showing a great deal of potential. The advantage of being able to purchase a thoroughbred as a two-year-old is that in most cases they have advanced through their education, possess the valuable experience of stable life and more importantly their trainers have had the opportunity to form an insightful opinion of the horse. In this filly's case Shea has been most impressed with how far she has progressed. "This filly has a great action, a fluent galloper. On the back of her positive reports from the breakers I was very keen to get her into the stables and every preparation she has lived up to my expectations. The thing that has stood out to me most is the growth she has made since her last spell, she is maturing really nicely," Shea said. By Flying Spur, Das Machen boasts 7 wins including one in listed company and a Group 3 placing in the Carbine Club. She has a great strike rate from her progeny, having thrown 3 foals to race for 2 winners. Flying Spur is renowned as a proven broodmare sire, currently sitting fifth on the broodmare sire table with 123 winners and six stakes winners so far this season. The cross of Written Tycoon out of Flying Spur mares is one of the stallion's most successful, with 14 individual winners and two stakes winners including classy mare Booker - winner of two Group races, five times Group placed and has won upwards of $530k in prize money. There is a great deal of confidence in the cross as a proven source of winners, reflected with yearlings bred on the same cross selling for $660,000, $320,000 and $150,000 at the 2019 Magic Millions. 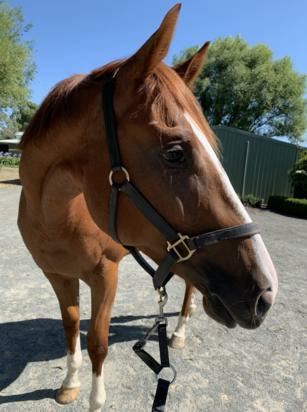 With the combination of a strong pedigree, intelligence and quality physical attributes, we hope this filly can follow in the foot steps of Written Tycoon's progeny to racetrack success. Taking Written Tycoon's sale results and race track success into account, the flashy chestnut presents as tremendous value. Want to know more? Get in touch with Eden Racing Bloodstock Manager Harry Roach.